If you are currently serving, or have recently signed up to serve, on a ministry team here at ECC, please do your best to make it to this meeting! 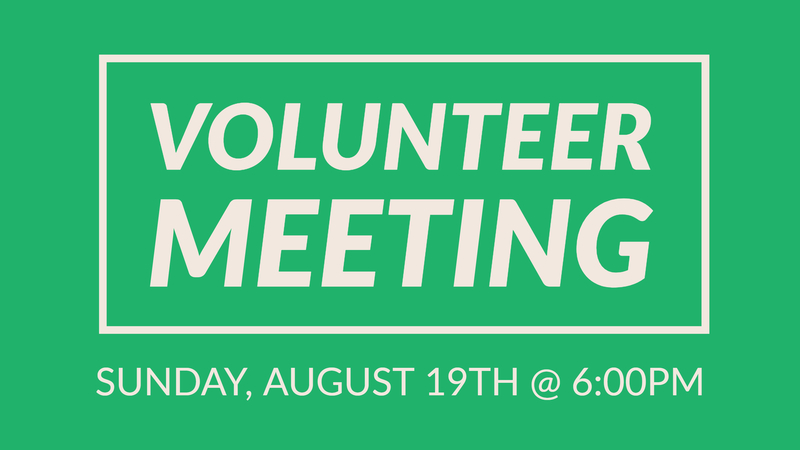 This is for all volunteers—whether music, audio/visual, family ministries, or guest services. We will be going over the new Sunday morning format changes taking place on September 2nd, recognizing our ministry leaders and their teams, and going over the basics of how to use Planning Center Online (the service we use to schedule volunteers). This time will also allow each team to gather together to go over any important details before our “launch” on the 2nd. We will be meeting in the sanctuary at 6pm. See you there!